How to capture an icon? That’s the perennial problem for a travel photographer. Something we’ve seen a thousand times, yet newly seen – that’s ideal. But since we’ve seen it so many times, the mind jumps to a pre-seen image. 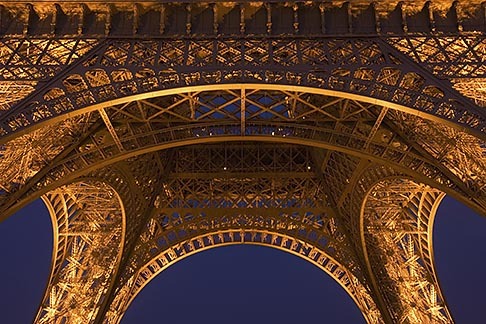 We know exactly what the Eiffel Tower looks like because we’ve seen it in clichés so often. So to spend time with the subject, hours, night after night, trying to sense something distincitive, and then bring to it a certain particular style of seeing, that is the art of travel photography. The market has an insatiable appetite for the same subjects, newly seen, and those are the most difficult challenges of all.